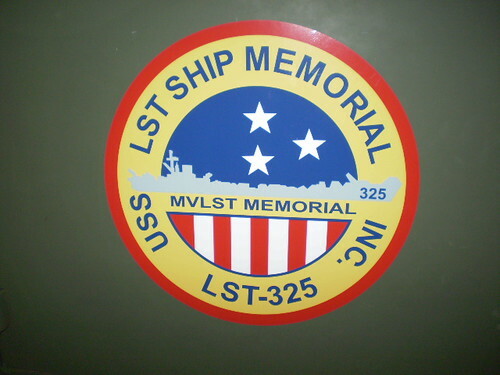 I have received these pictures from the USS LST-325 event. I will update this post as I get more of them. UPDATE 9/26: Martha KJ4RIQ also sent in additional pictures of the event. Thanks Martha! CHICAGO — For two decades, one of the most commonly used type of rail tanker has been allowed to haul hazardous liquids from coast to coast even though transportation officials were aware of a dangerous design flaw that almost guarantees the car will tear open in an accident, potentially spilling cargo that could catch fire, explode or contaminate the environment. 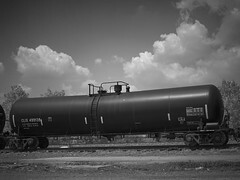 The rail and chemical industries have committed to a safer design for new tankers but are pressing regulators not to require modifications to tens of thousands of existing cars, despite a spike in the number of accidents as more tankers are put into service to accommodate soaring demand for ethanol, the highly flammable corn-based fuel usually transported by rail. Derailments have triggered chemical spills and massive blasts like one in July in Columbus, Ohio, that blew up with such intensity that one witness said it “looked like the sun exploded.” Some communities with busy railways are beginning to regard the tankers as a serious threat to public safety. The Jonestown mass murder in 1978 is viewed as the largest single loss of American civilian life in a non-natural disaster until the events of September 11. Prior to this, amateur radio was used by the Peoples Temple to maintain communications from Guyana to San Francisco and Georgetown. Their use however raised concerns with other hams due to obvious rule violations made by Temple operators. Some ham operators took action by recording these QSOs and filed complaints with the ARRL and FCC. These recordings were finally transcribed in 2003 by Josef Dieckman at the request of the Jonestown Institute. He has written two articles about his experiences: “QSL cards provide insight into Temple radio communications” and “Listening to Jonestown”. The FCC tapes number 1-24, covering dates in 1977 and 1978, and are in no particular order. I began with a group of four tapes, and what I heard only reinforced what I had already been told about the nature of the material on them: they were coded and secretive ham radio communications. When I began listening to the first tape (FCC #3) I found nothing odd about it. Two men, thousands of miles apart, exchanged part numbers for appliances like freezers and refrigerators. I kept waiting for the blatant rule infractions like obvious business traffic and coded talk. But on first blush, everything sounded on the level. At times, some obvious mistakes came through, such as the botching of call signs, which occurred more than once. This aside, nothing struck me as too odd. However, as I worked transcribing the other tapes, my suspicions grew, and suddenly things began appearing odd and inconsistent. The “code” began to emerge, and although I had no idea what it all meant (and I’m still struggling with it), I knew it sounded peculiar. Have you ever wanted to go on a DXpedition, but lacked the time — or resources — to make it happen? Never fear, because you can go on four DXpeditions from the comfort of your armchair, thanks to the October edition of QST! In our annual DXing issue, discover DXpeditions of lore and legend as we take you to Malpelo, Rotuma, Navassa and the Mountains of the Moon. So sit back and enjoy all the fun and challenges that come with being in a remote part of the world, connected to civilization only by radio waves racing around the world. The VoIP Hurricane Net running on the *WX_TALK* EchoLink conference node 7203/IRLP 9219 was active over a two day period from Tuesday, August 28, through Wednesday, August 29, as Hurricane Isaac pounded the US Northern Gulf Coast with high winds, extremely heavy rainfall, significant storm surge and river and stream flooding. The VoIP Hurricane Net operated for more than 25 hours continuously during the US coast landfall. We just completed our first 2-day Technician level class and out of 13 students, we would like to welcome 10 new amateur radio operators. We hope they enjoy their new privileges and become active in their communities. One of the guest presenters in the class was Cathy Goodrich KK4IWN. She spoke about the Community Emergency Response Team and important emergency preparedness tips. A PDF copy of her presentation along with the YouTube video she showed is included here. The video shows an interview with Gary Pearce KN4AQ. 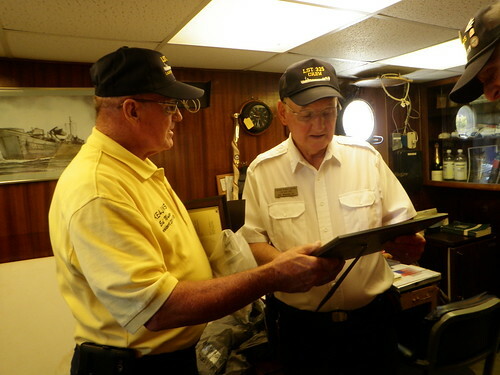 A recording follows of an emergency communication that passed between several ham radio operators. The message requested law enforcement help for New Orléans Memorial Hospital during Hurricane Katrina. For years now, the United States Postal Service has been the poster boy for government waste, but that organization may now be getting a run from another favorite target of government inefficiency: Amtrak. In recent weeks, both entities have reported unprecedented levels of losses, with a $5.2 billion shortfall last quarter for the post office, and a $834 million loss on food and beverage services during the last decade for Amtrak. So who wins the title for the most wasteful government agency? Let’s take a closer look at our contestants. Only a handful of American companies manage to make $5.2 billion in a quarter. But the post office found a way to lose that much as the agency has gotten squeezed by the transition to electronic communication and the need to fund health benefits for future retirees. Even worse, the Postal Service defaulted on a $5.5 billion payment to the fund this month — which had already been deferred from last year — and is expected to default on another $5.6 billion payment due in September. By October, it could be completely out of cash. A video from the 2011 IARU High Speed Telegraphy World Championships was posted on YouTube. The video shows the competitor achieving, according to the description, a transmission rate of 200 characters per minute. The competition was held at Bielefeld, Germany and resulted in 3 world records. This year, the competition will be held at Beatenberg, Switzerland on October 17 to 21. For those who are into contesting, the fall and winter months are packed with contests of different types. H. Ward Silver, N0AX at ARRL has put together a small quiz to help participants get ready for this season’s activities. The quiz is posted on the ARRL site.